More than 300 guests attended the 43rd annual gala. 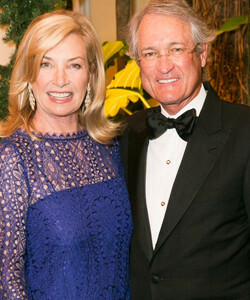 Held at the Sailfish Club, the sold-out affair raised almost $600,000 for the care of stray animals. 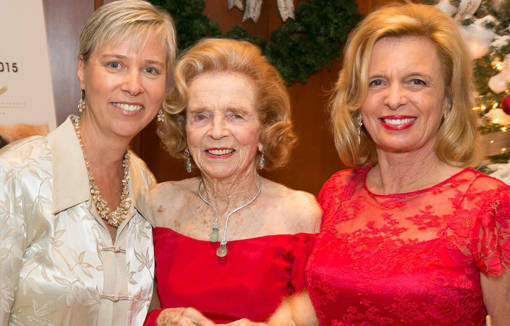 Pauline Pitt chaired the event, also known as the “Doggie Ball.” Pitt is a long-time supporter and board member and will also chair the ball in 2015. The evening began with a red-carpet greeting by a line of pets eligible for adoption. Later, the animals paraded around the party, allowing prospective owners another look. Several were adopted. The Shaggy Shoppe boutique set up at the gala, and guests received the latest issue of “Publicity Hound,” a magazine featuring photography of many dogs and cats. Nellie Benoit, a board member of the Peggy Adams Animal Rescue League, chaired the Publicity Hound Committee. Among the ball’s sponsors were Stubbs & Wooten, Scott Snyder Designs, Wells Fargo Advisors, Florida Crystals and Gunster Law. All proceeds from the annual ball, held Dec. 11, 2014, support the mission of the organization throughout the year. The Peggy Adams Animal Rescue League has operated continuously since 1925. It provides shelter to homeless animals, as well as spaying and neutering and other medical services for companion animals, and advocates for animal welfare. For more information, visit the Peggy Adams Animal Rescue League’s Web site.